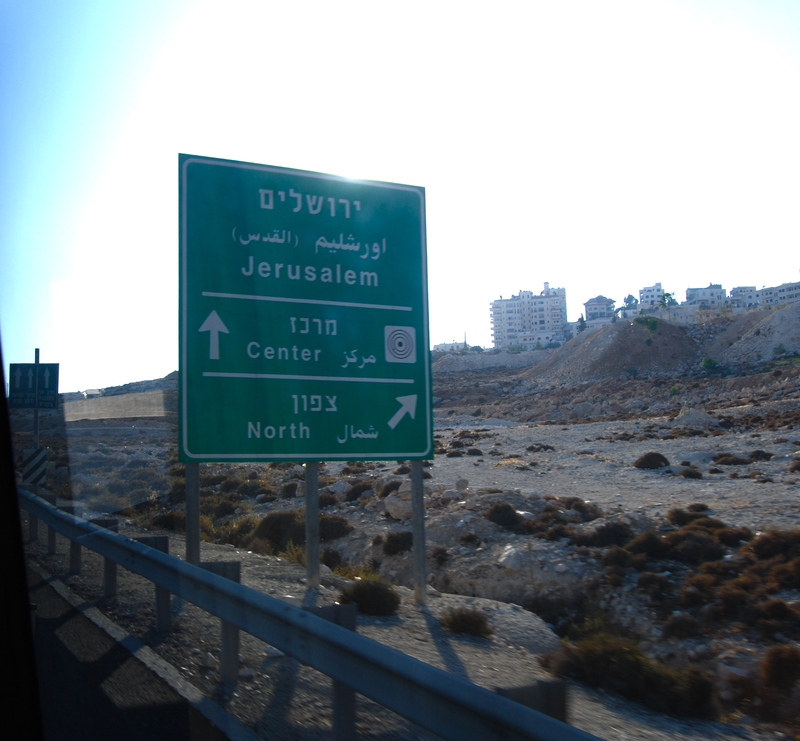 I arrived in Jerusalem the day before and it was my 37th birthday, a well-planned birthday party for myself. 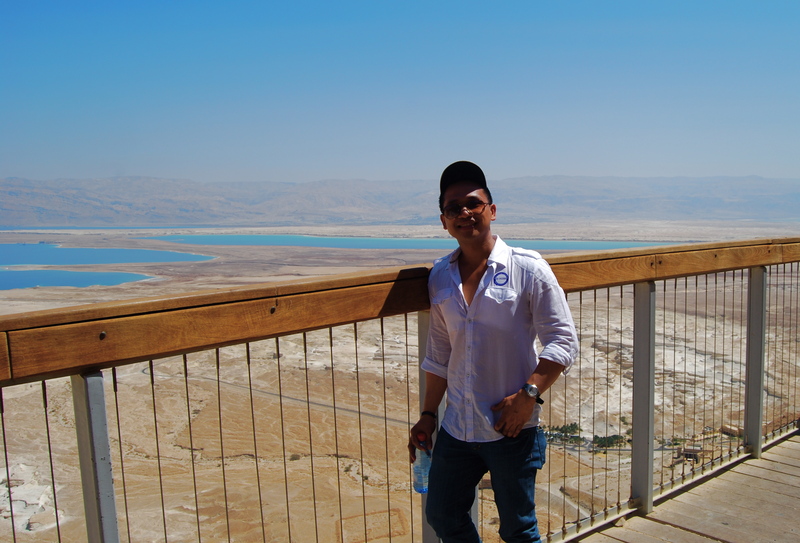 One of the most important things I did upon arriving at my Jerusalem hotel was to book the whole day tour of Dead Sea and Masada for the following day. Through the Mount Zion Hotel front desk, I booked the US$92 tour organized by Bein Harim Tourism Services . I was picked up at my hotel at 830am for the only group tour I have joined in my entire stay in Israel. 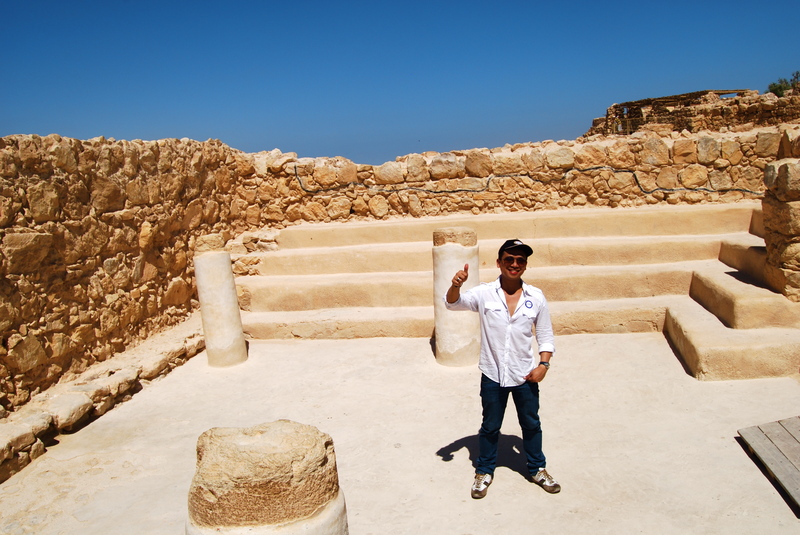 As the lone Asian in the tour group, I was easily recognized by the tour guide as coming from the Philippines. 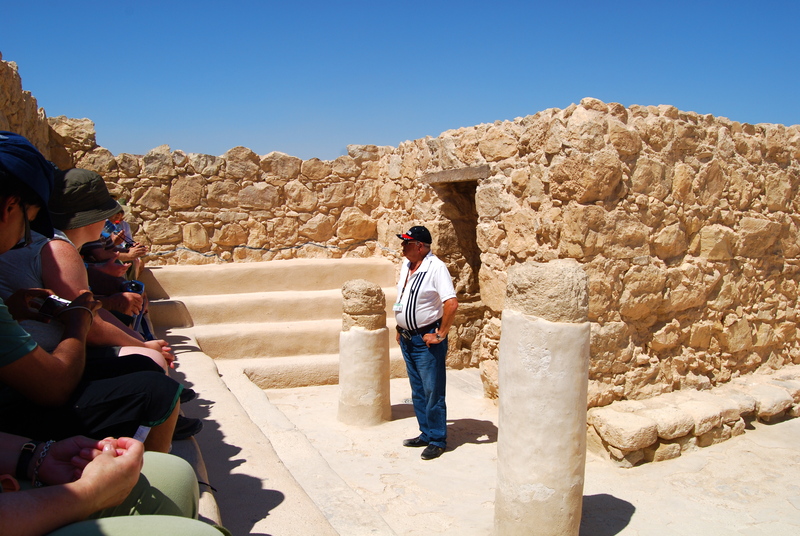 I was joined by other tourists from Poland, Brazil, France, the Netherlands, Canada, Romania and the U.S..
On our way to the Dead Sea, we passed by places like The Inn of the Good Samaritan…..
…Jericho, the oldest city in the world…. 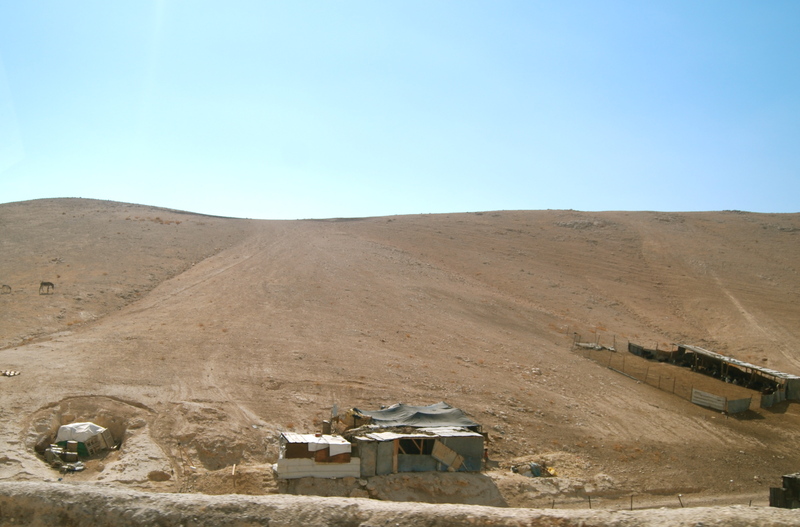 ….and the habitation of Israel’s bedouin, a minority within the Arab minority, whose nomadic tradition is still prevalent. 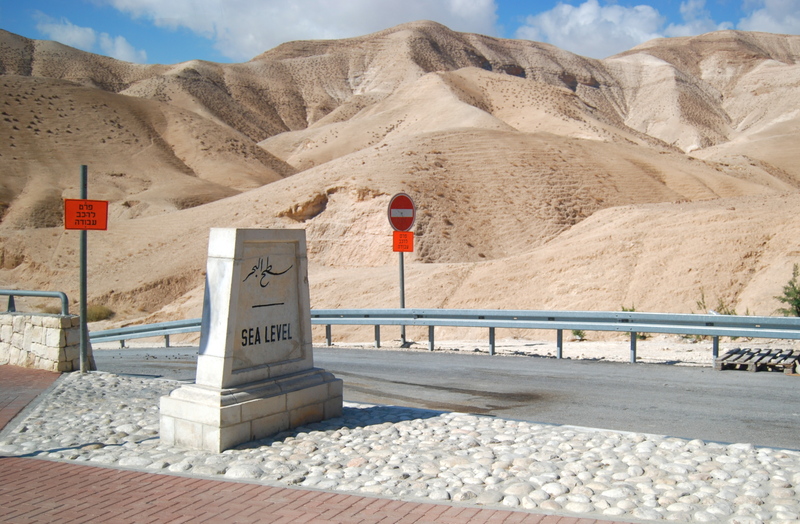 After more than an hour of traveling we finally reached the sea level mark on our descent to the Dead Sea area. Waiting for us was the man with his camel. The tour bus stopped and we all went down. 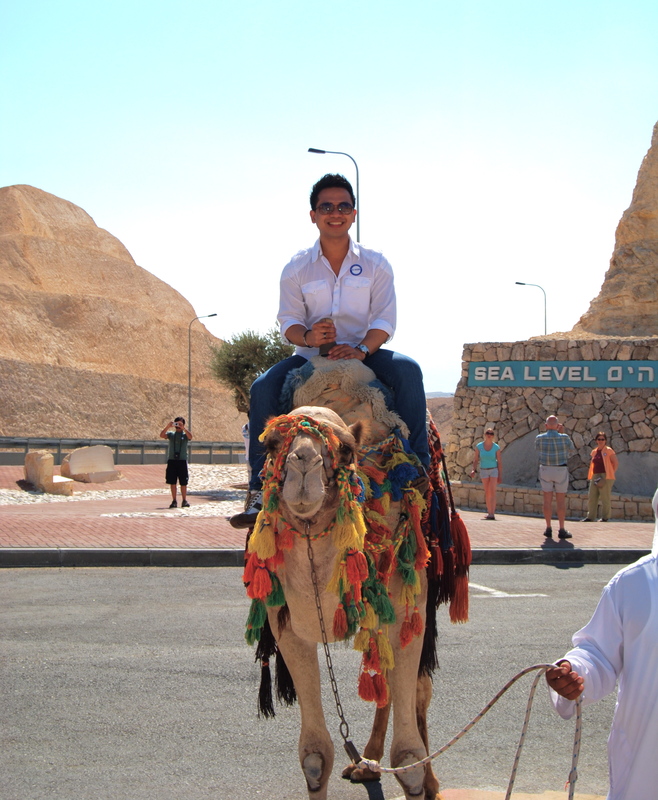 I was the first one to go up the camel. 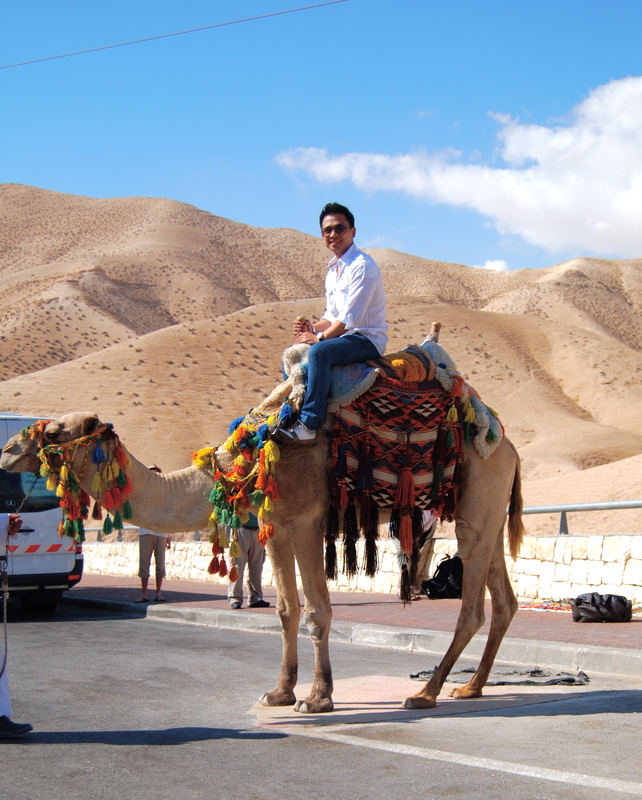 With a camel-riding experience to boot 12 years earlier on the banks of the famous Red Sea in Jeddah, Saudi Arabia, I was a bit confident as everyone looked on. 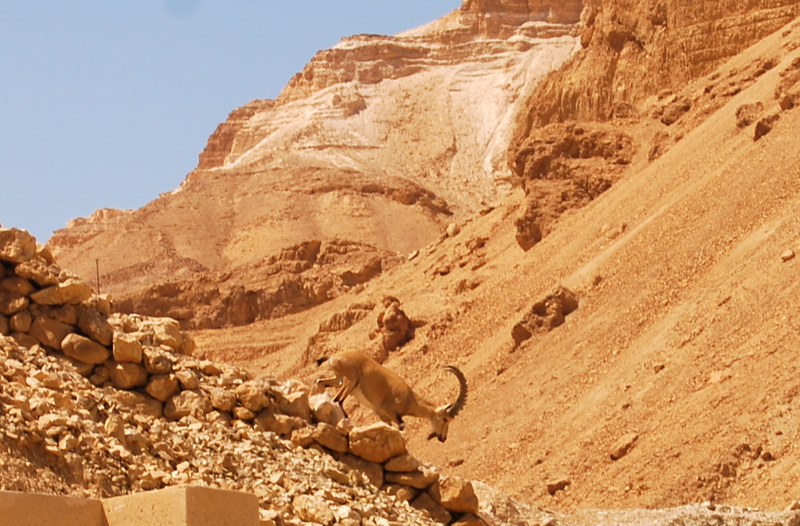 With a stunning Judean Desert backdrop, the camel stood…..
…and the camel walked around the area and it was fun. 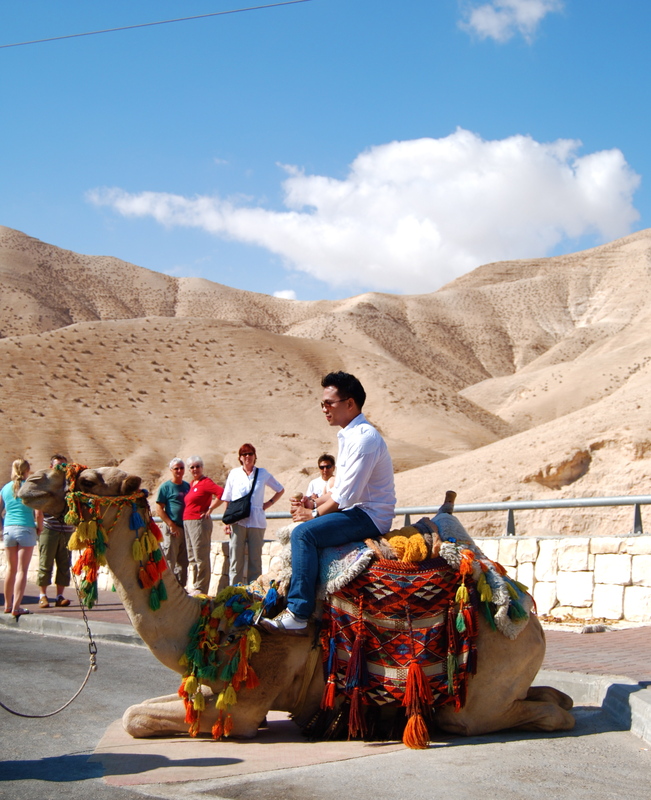 Others in the group took turns in riding the camel. 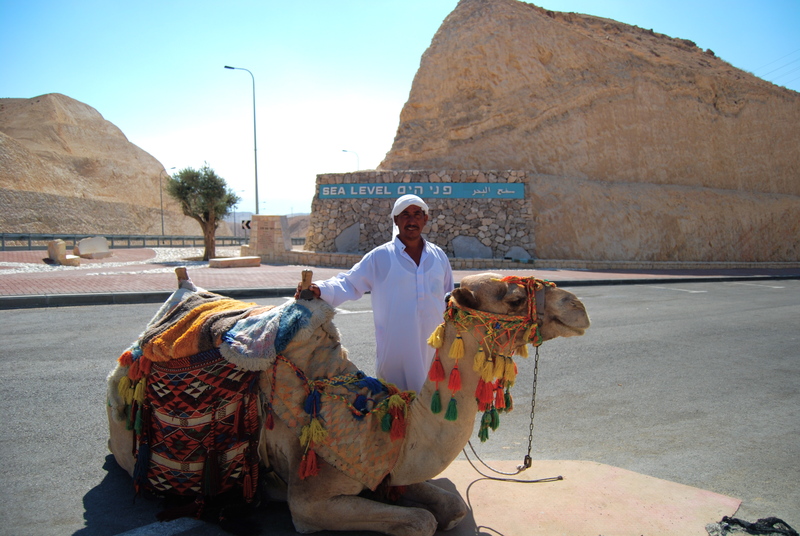 Then it was time to say goodbye to the man and his camel. 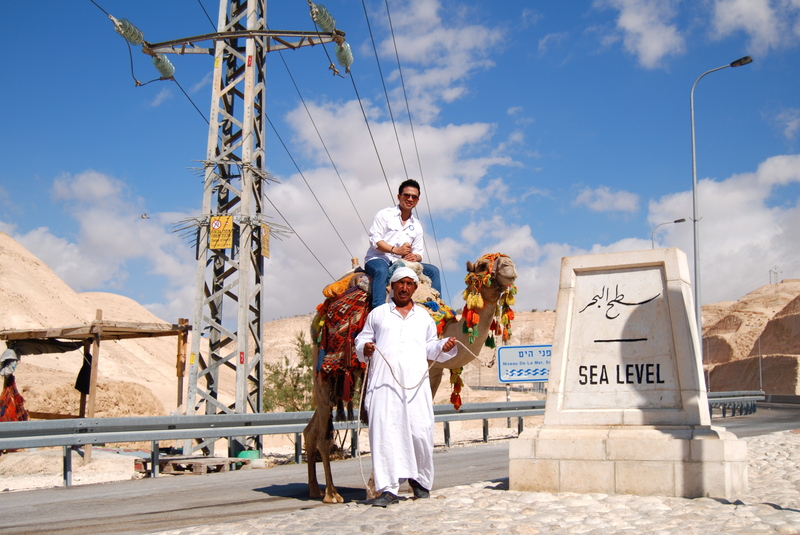 Well, I wonder if the man is already a millionaire, receiving generous gratuity when tourists on the way to the Dead Sea ride on his camel. 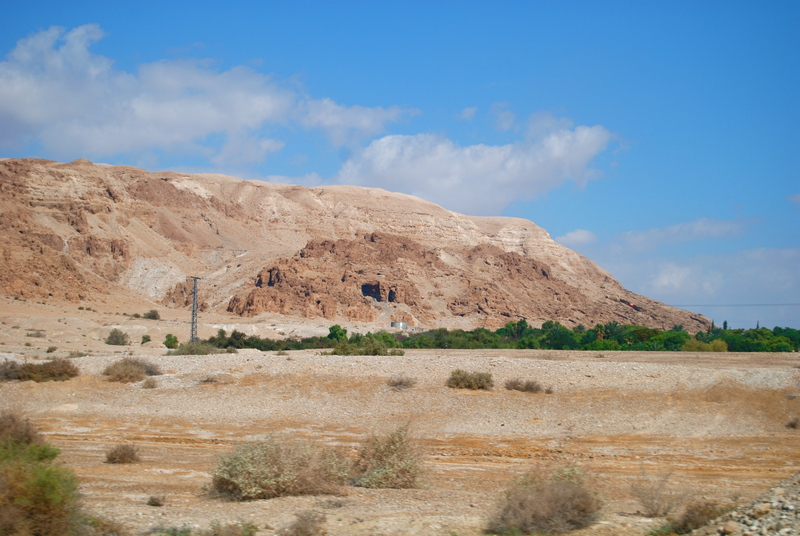 Three miles more to the Dead Sea……..
….passing one of the caves where the Dead Sea scrolls were found. 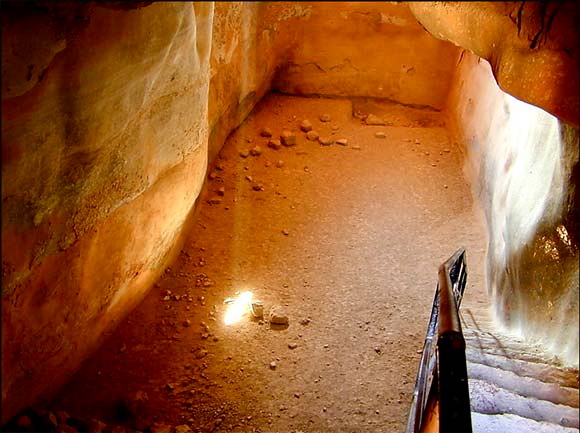 The Dead Sea scrolls are the oldest surviving copies of the Hebrew Bible. 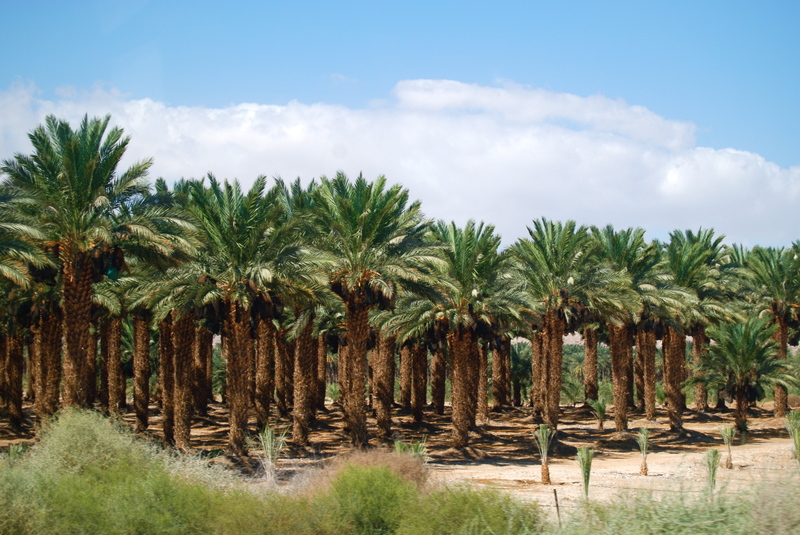 Also magnificent was the view of the date palm trees. 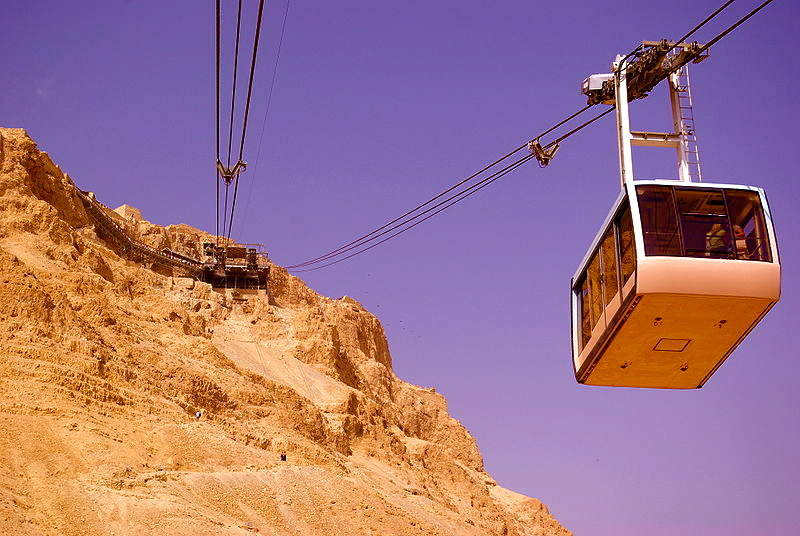 We first proceeded to Masada, which is also in the Dead Sea area. 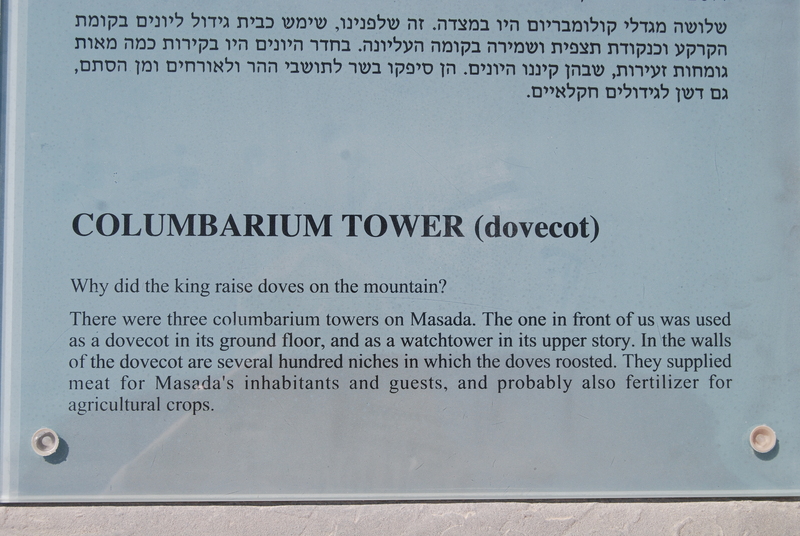 We arrived at a building that serves as an entrance to Masada. 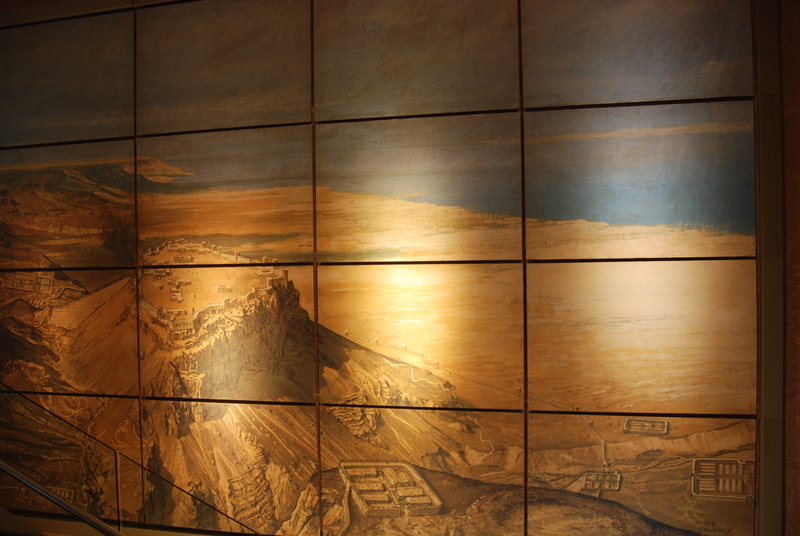 Shown here is a painting of Masada during the time of Herod the Great. 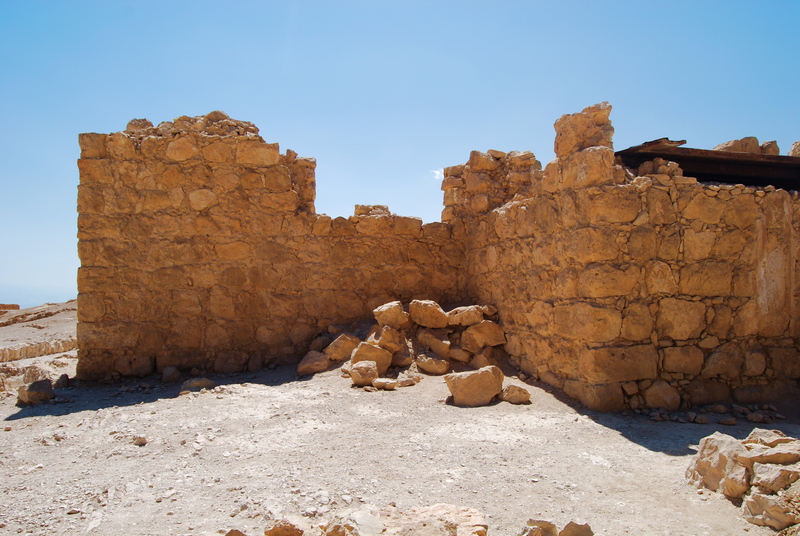 Located on an almost inaccessible plateau high above the shores of the Dead Sea, Herod built this legendary palace fortress in about 10 B.C. 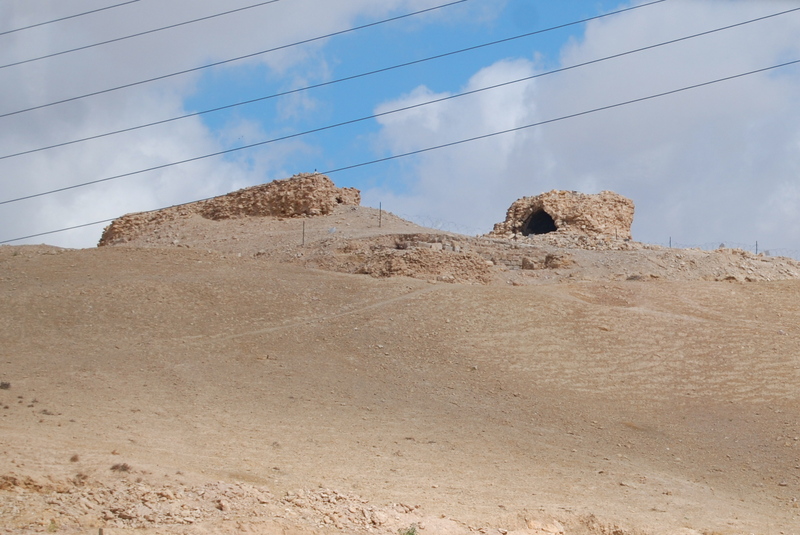 In A.D. 73, more than 75 years after Herod’s death, it became the final stronghold of the first revolt against Rome. 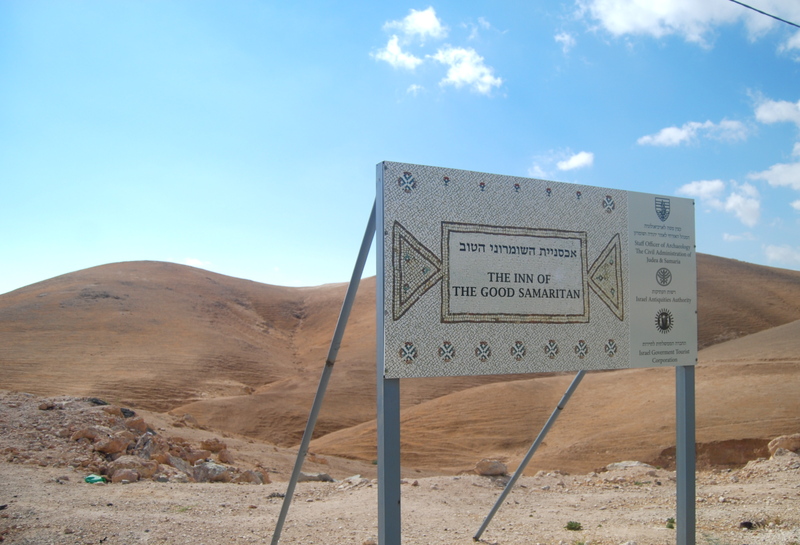 It is the scene of one of the most heroic and tragic incidents in Jewish history where the remaining Jews committed suicide on the eve of their conquest by Roman armies. 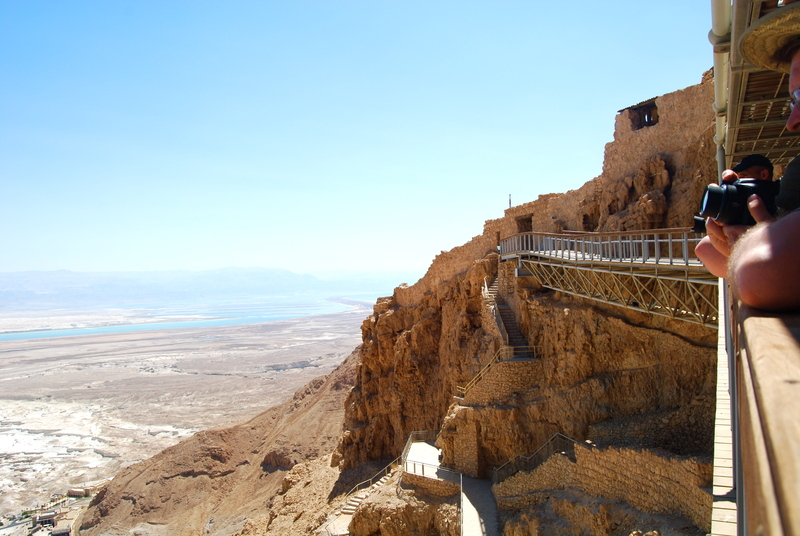 Even without the drama of Masada’s last stand, the site is one of haunting, audacious magnificence. The camps, fortifications and the assault ramp at its base constitute the most complete surviving ancient Roman siege in the world. 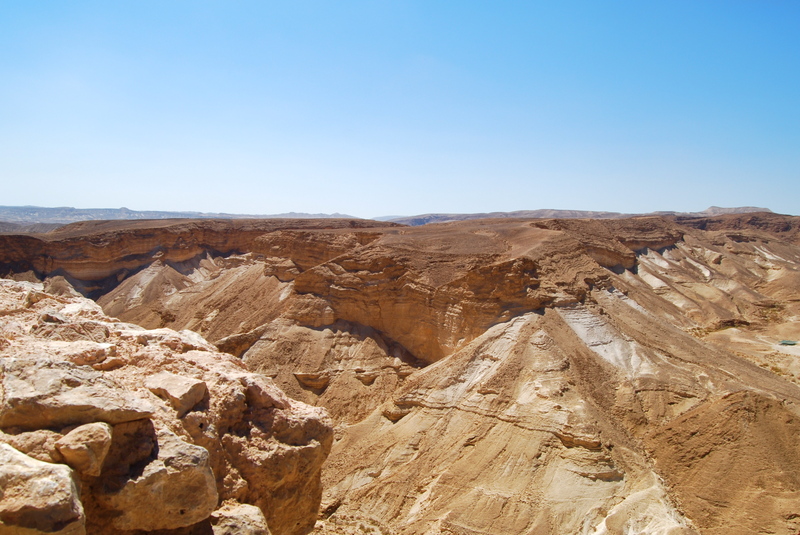 The plateau, 450 meters above the level of the Dead Sea, is approximately 650 meters long and 300 meters wide. 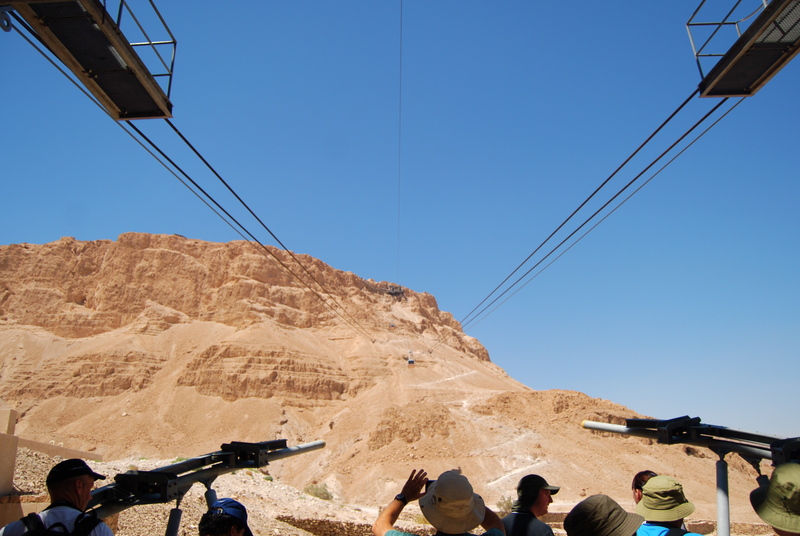 We went up to the plateau via a 2.5 min cable car ride…..
….sighting on some big horn goats plying around the area. 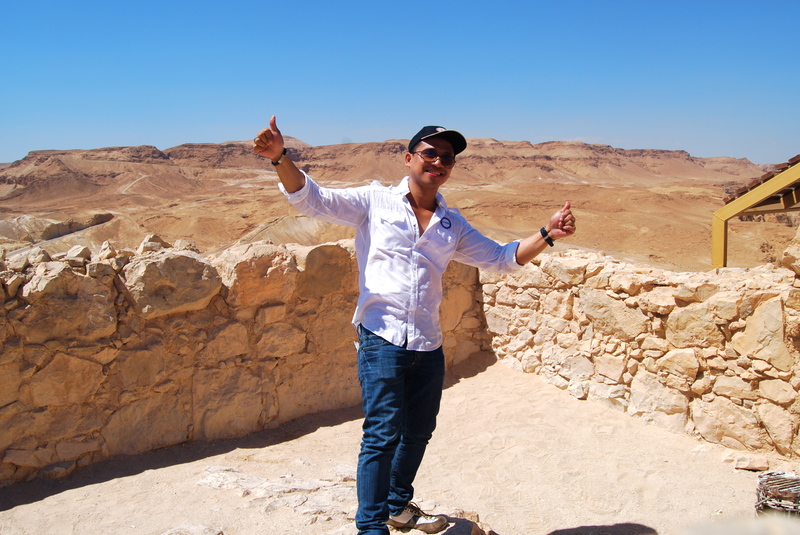 Finally we reached the top of the plateau where the views of the Dead Sea and the Judean Desert are utterly breathtaking! We had to traverse the snake trail to go in and around the plateau. It was a nerve-wracking but breathtaking stroll along the walkway. 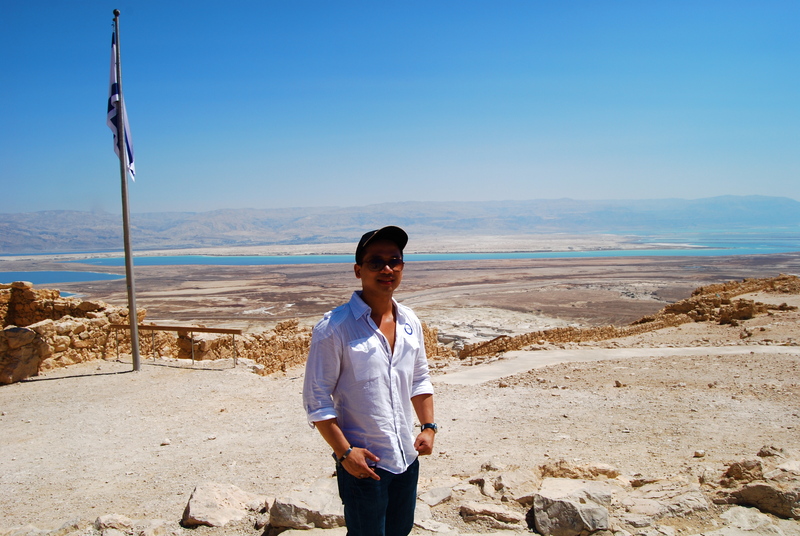 At the top, the view of the Dead Sea expanse and Jordan beyond was amazing. 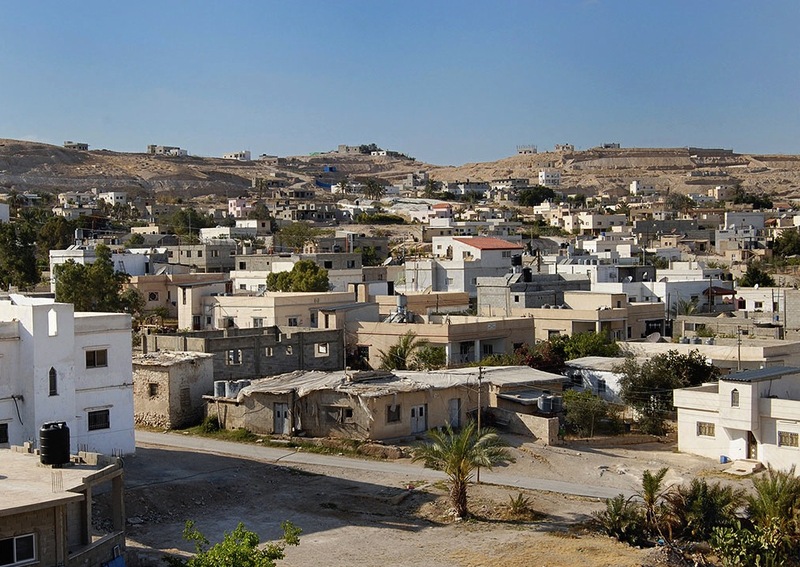 Jordan, having a landmark peace treaty with Israel, is actually just across the Dead Sea. 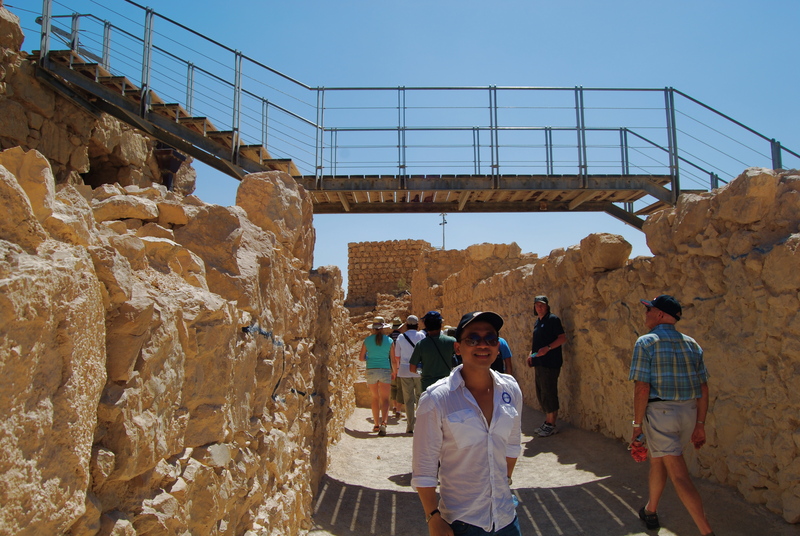 As we toured around we inspected some of the structures that have been probably reconstructed. 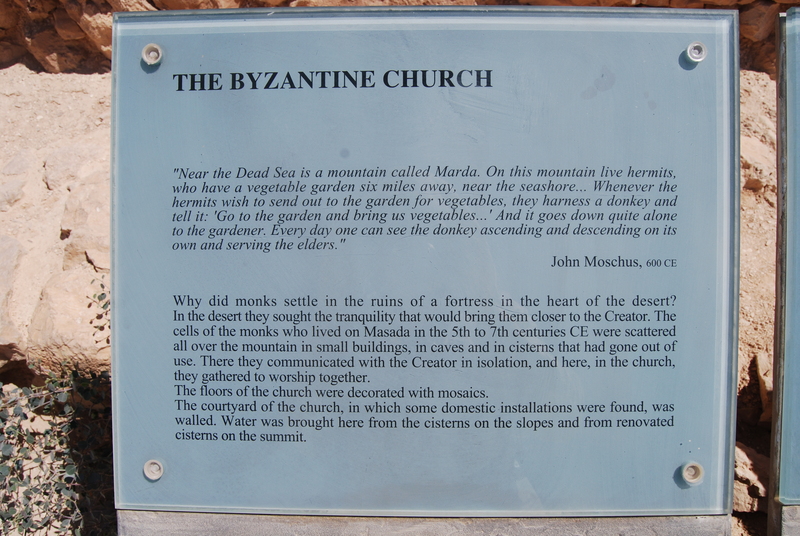 One of them was the site of a Byzantine church…. 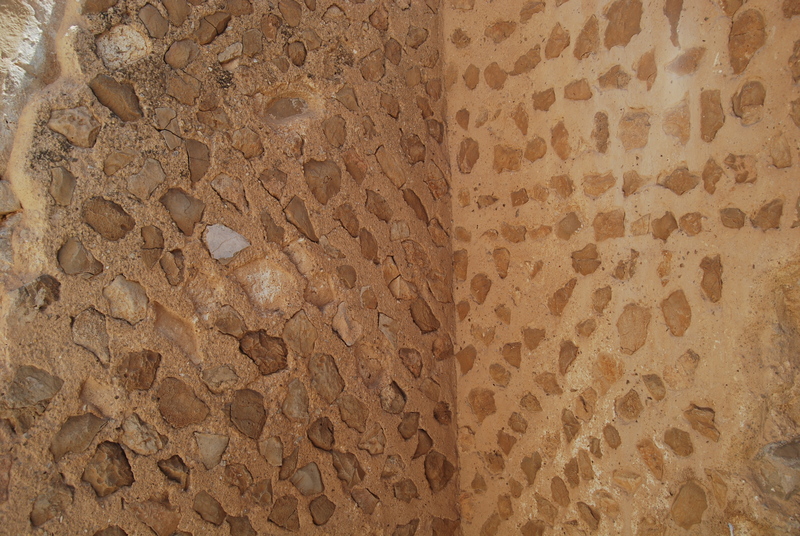 …and the other was the Columbarium Tower. 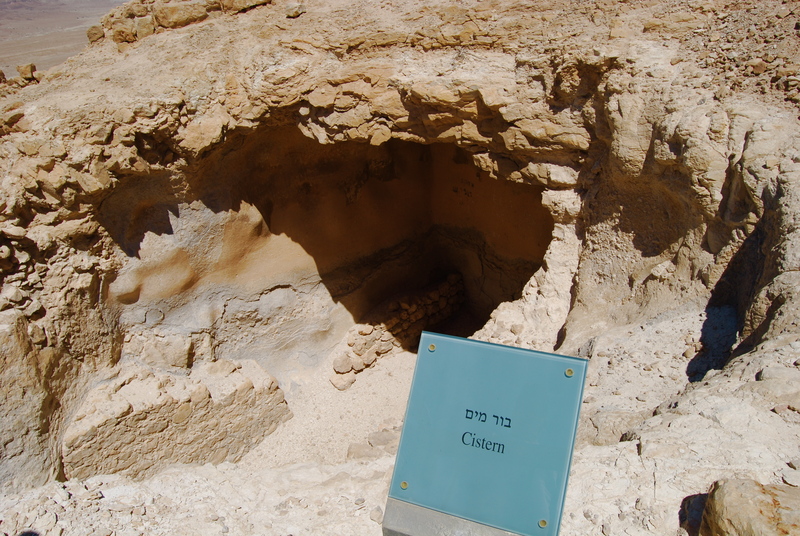 Herod built an intricate system of aqueducts to drain every drop of rainwater from the nearby wadis into the Masada cisterns. We had a short stop at the synagogue site to listen more amazing, heroic stories from our fantastic Israeli Jew tour guide who could speak 11 languages and has 2 PhDs in language and biblical studies. He was a former Israel Ministry of Tourism employee. 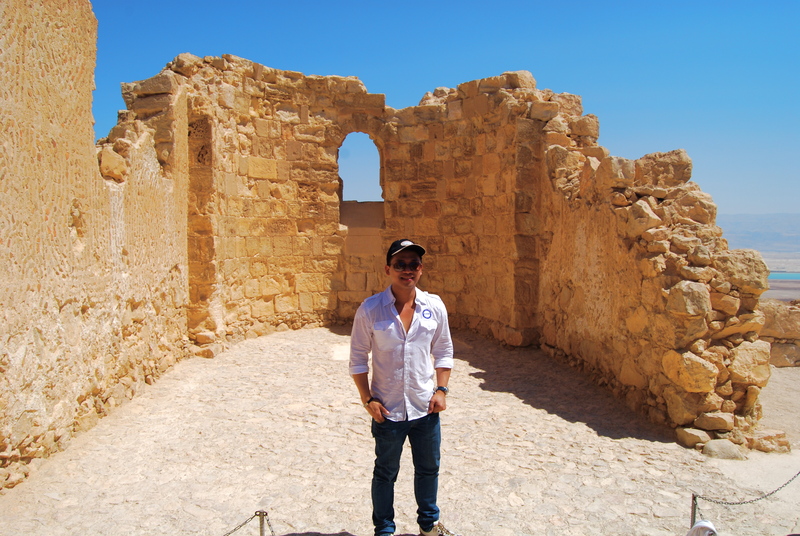 I would love to join one of his future tours when I would be in Israel again. 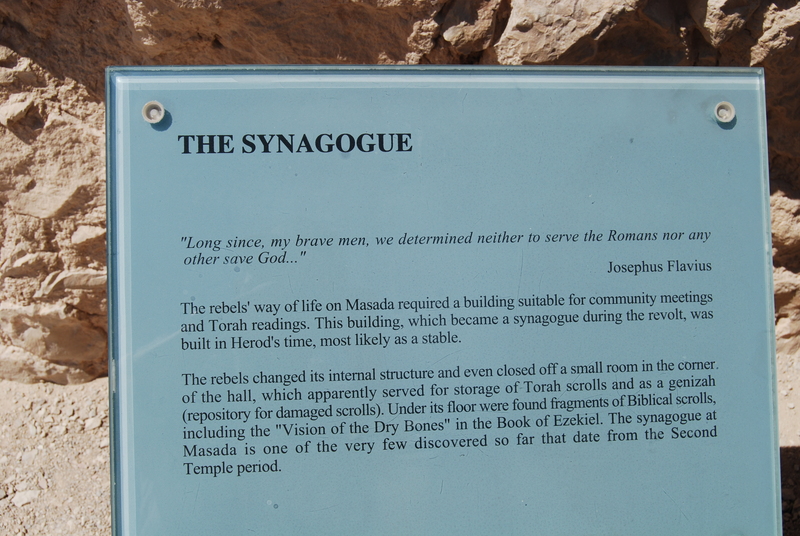 Standing on the sight of the world’s first synagogue, I was overwhelmed. 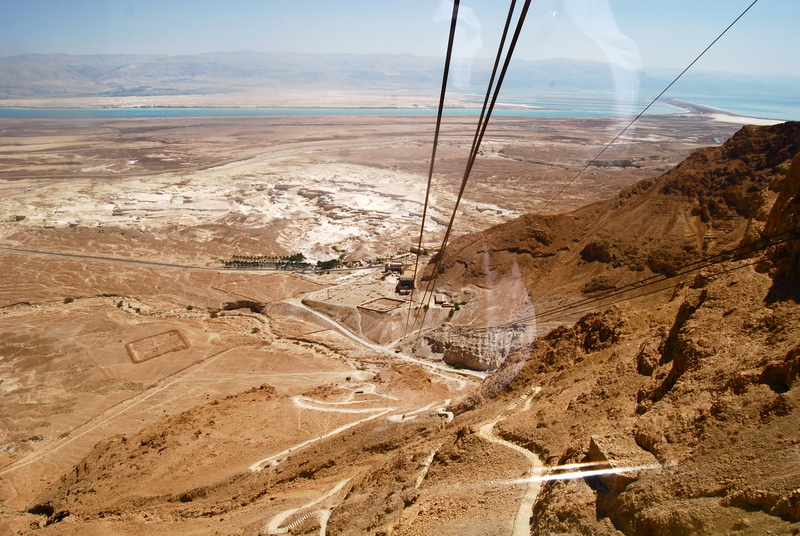 This was the view to the west of Masada, the sprawling deserts of Judea and Samaria. 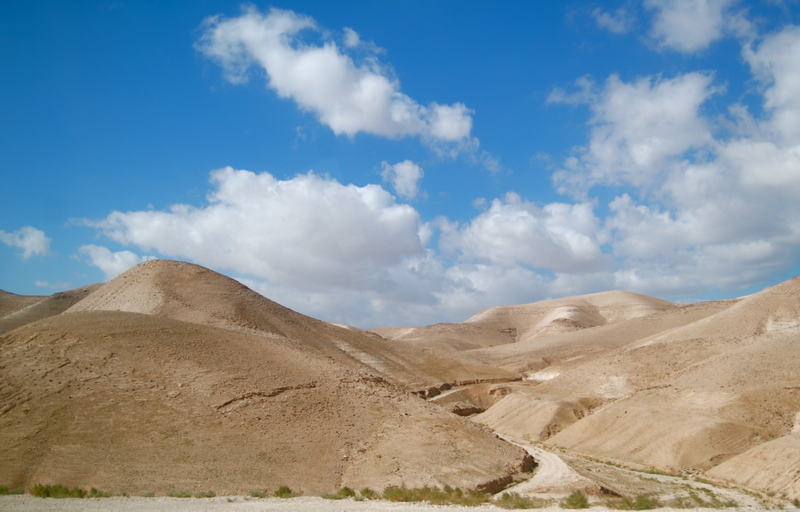 We continued our journey around the top of the plateau under the scorching heat of the noon time sun. 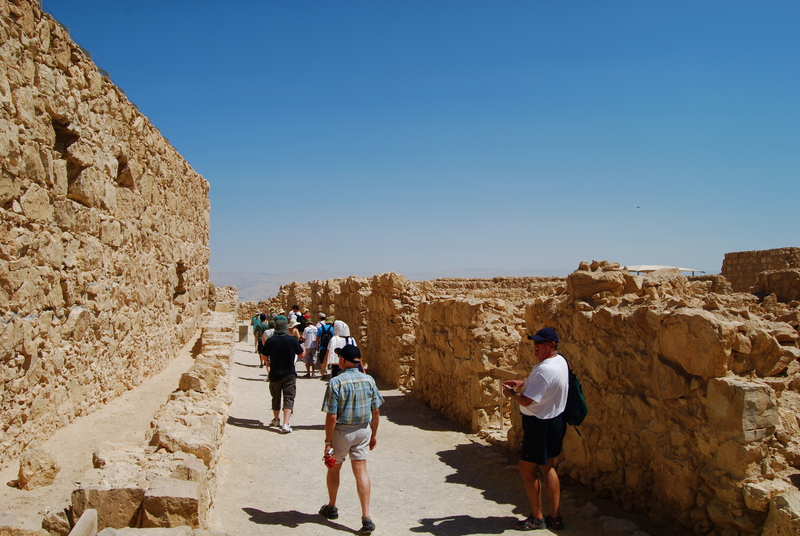 Until it was time to go down to the Masada entrance building to have our lunch. 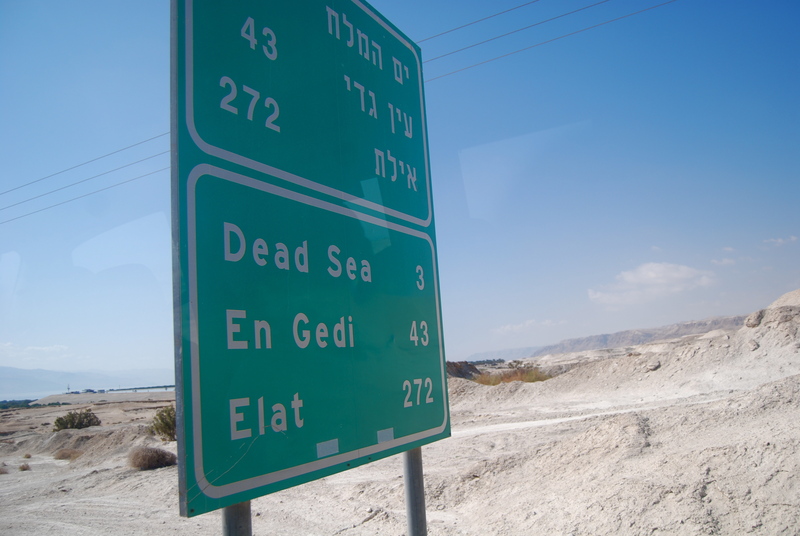 After lunch we traveled back to the north passing by the Dead Sea to our right (east)…..
…and the great plateau to our left (west). We had a 45-min stop at the AHAVA factory. 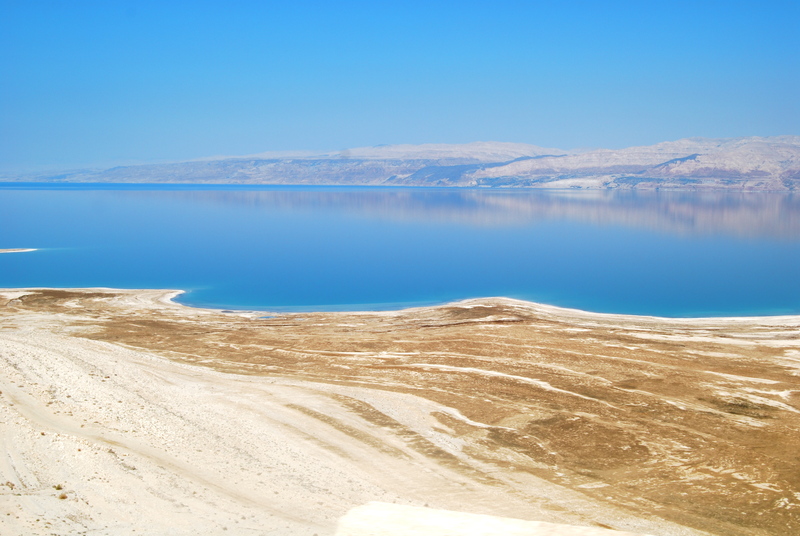 The mineral content of the Dead Sea water, the very low content of pollens and other allergens in the atmosphere, the reduced ultraviolet component of solar radiation, and the higher atmospheric pressure at its great depth each have specific health effects. 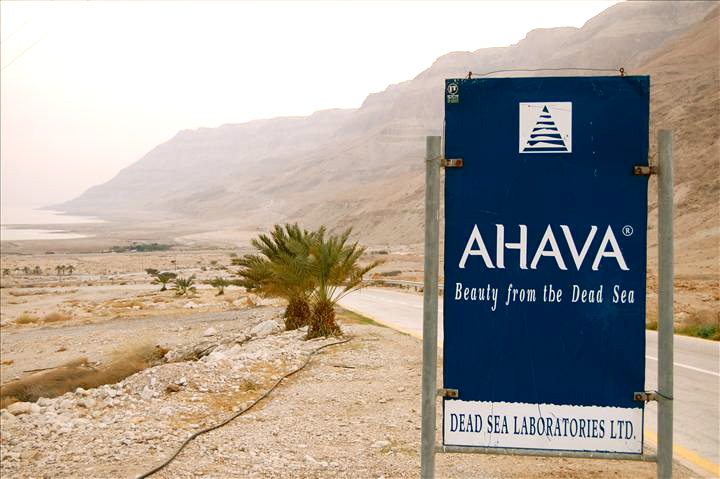 AHAVA, an Israeli cosmetic company, is one such company to take advantage of the great health effects of the Dead Sea waters and uses the Dead Sea minerals in their products. 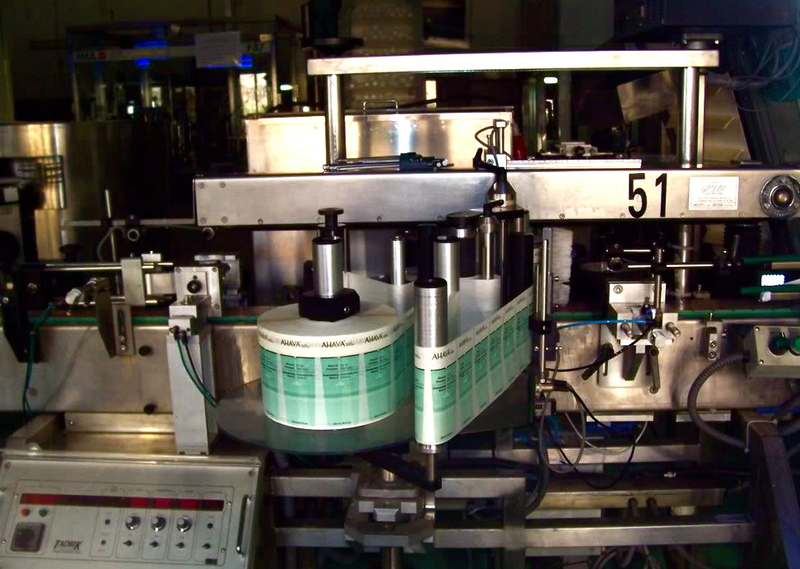 Well, I have known the company for a number of years and I personally like the products. 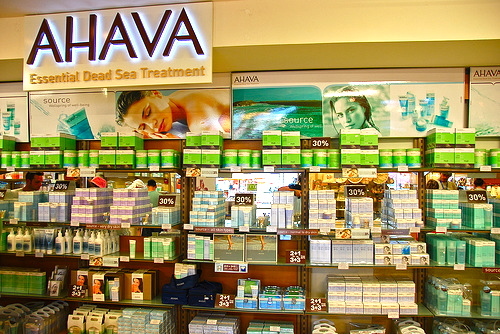 Yes, when you are in the AHAVA Dead Sea factory, buy as much as you can as they are 50-70% lower than the prices elsewhere, outside Israel. 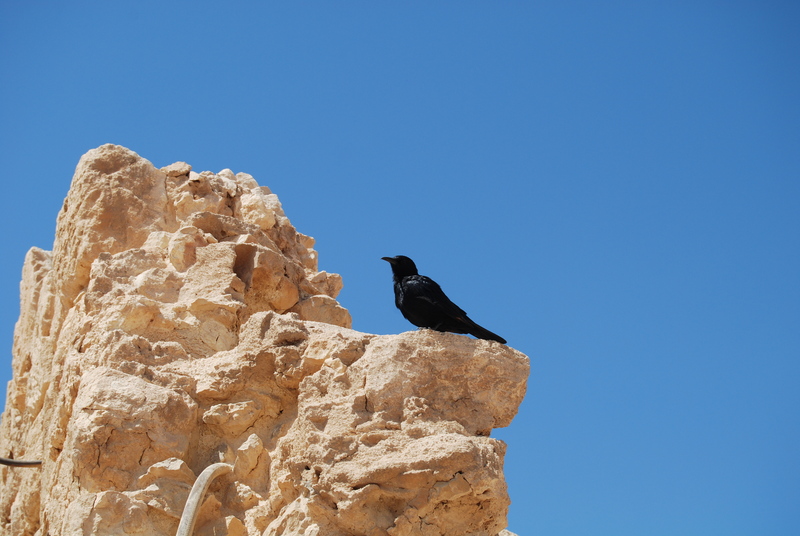 We continued our journey northwards along the Dead Sea shores. 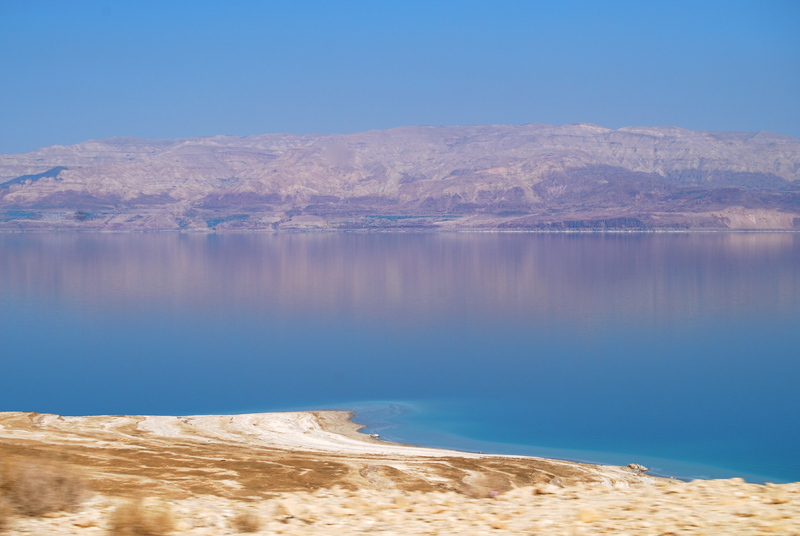 At 400 meters below sea level this lake is the lowest point on earth; although called the Dead Sea as nothing can live in it, this is actually a sea of life because of the large concentration of minerals. It is 1400 feet at its deepest and it is 67 kilometres (42 mi) long and 18 kilometres (11 mi) wide at its widest point. 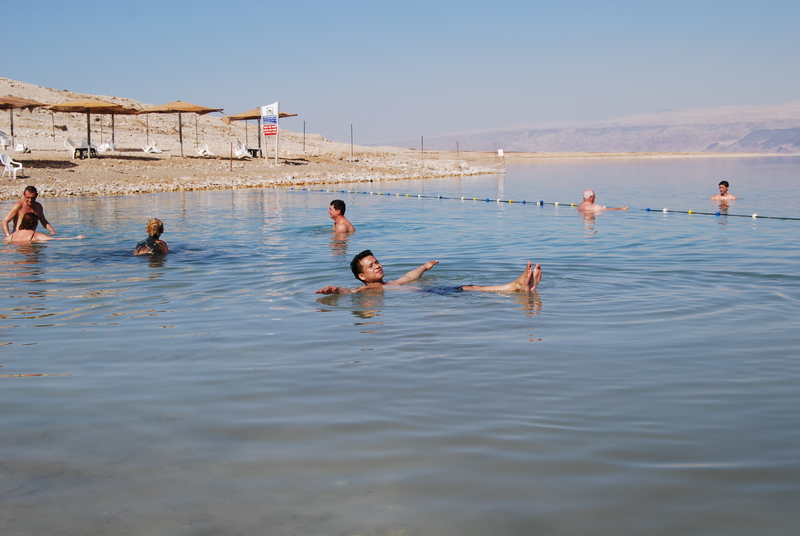 We then stopped at one of the resorts along the Dead Sea and immediately went straight to the sea water. I was a bit hesitant of the floating experience. Yes I did float! 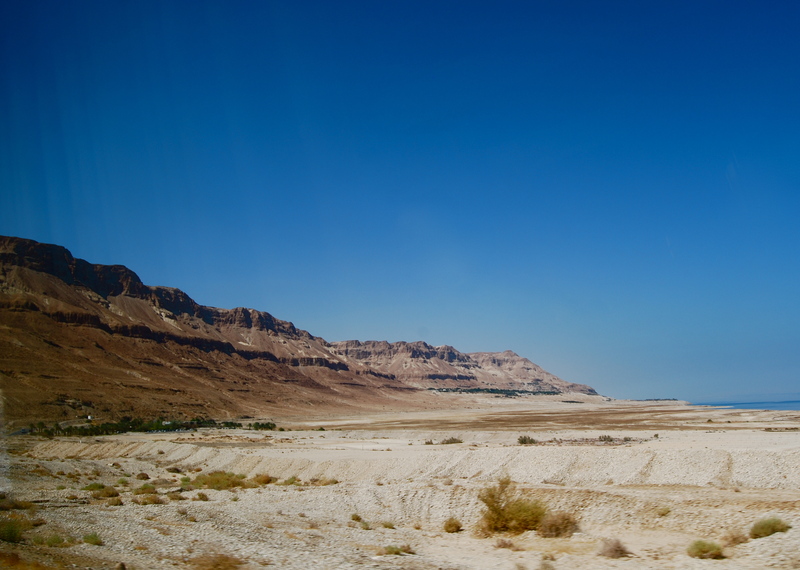 The salt concentration of the Dead Sea fluctuates around 31.5% which is unusually high. 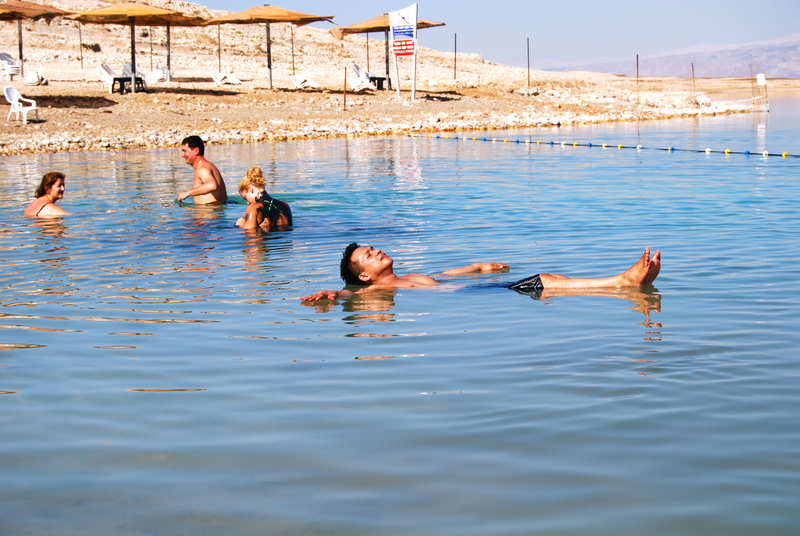 Anyone can easily float in the Dead Sea because of natural buoyancy. 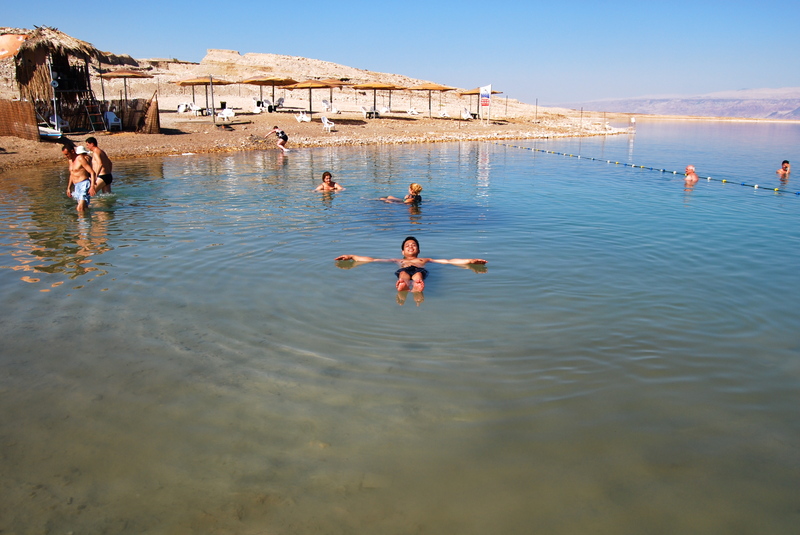 Also a very nice thing to know is one does not need sun protection while floating in the Dead Sea as the mist caused by the minerals blocks the sun’s rays before they damage your skin. The tour guide told us so. It was also believed Egypt’s Cleopatra would often travel to the Dead Sea as part of her therapeutic regimens. So we spent more time floating. We had to be careful not to splash our eyes with the sea water as it could really be painful. If your eyes accidentally catch some sea water, then you just need to rinse it thoroughly. We’re the fantastic four!! Me (small one) from the Philippines, the couple Tjalvo (left) and Arina (right) from the land of the tallest people on earth, Netherlands and Louis (in blue trunks, next to Arina) from Canada. 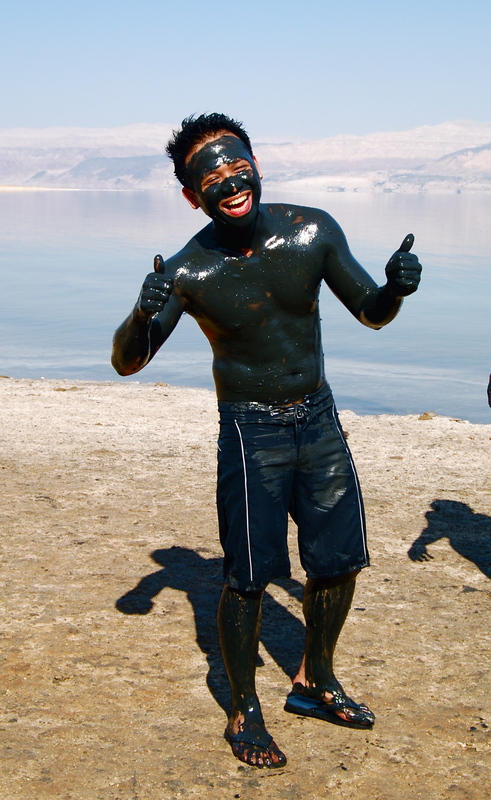 After we spent 20 minutes dipping in the Dead Sea, we needed to have the mud wrap for another 20 minutes or so. God provided the Dutch couple and the Canadian guy as my closest buddies during my Dead Sea tour. 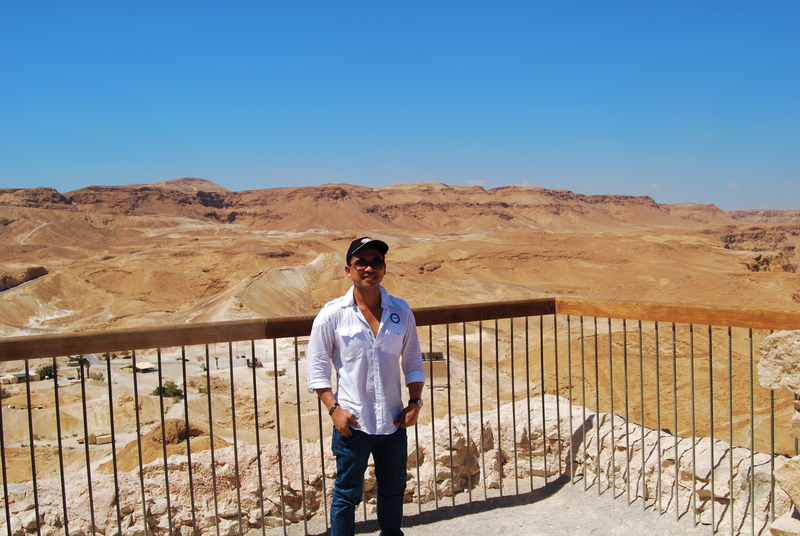 My Dead Sea experience was fun, real fun! The trip benefits were actually worth more than what I had paid for. I would consider this as my all-time favorite therapeutic experience because of that amazing mud wrap! It was time to head back to Jerusalem for the following day’s additional exploration of the Old City. Hi! Someone in my Facebook group shared this site with us so I came to check it out. I�m undoubtedly loving the details. I�m book-marking and will likely be tweeting this to my followers! Outstanding weblog and great style and style. Hi there! Thank you for the appreciation and compliment. I have started blogging last October only. Please share to your friends. It definitely makes me to strive better. Thank you for your support and appreciation. Please continue to share this with your friends. I am blogging on Seoul, South Korea soon. I have a Facebook page. WinairTravel, kindly support by liking. Thank you! Cool info as for me. Thank you a lot for posting that information. Howdy! This blog post couldn’t be written much better! Reading through this post reminds me of my previous roommate! He always kept preaching about this. I am going to send this article to him. Fairly certain he will have a good read. Thanks for sharing! What’s up Dear, are you genuinely visiting this site regularly, if so then you will absolutely get fastidious experience. Thank you for this! I cant wait to try to got o the places you have been 🙂 thanks for inspiring me! Hi there, I want to subscribe for this website to take hottest updates, therefore where can i do it please help. « Malaysia : Best Business Hotel in K.L.